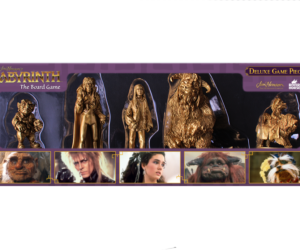 “The Dark Crystal is a nostalgic, team-based, race against time, dice rolling romp based upon the classic movie by Jim Henson. 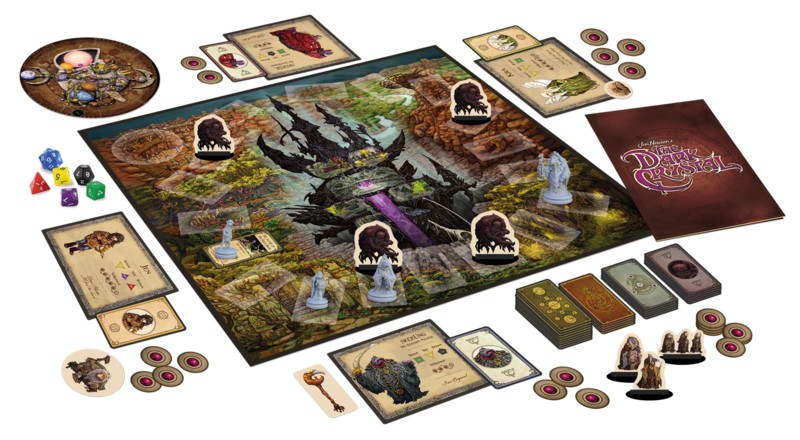 The heroic Gelflings search the world for the shard that will heal the Dark Crystal, while the evil Skeksis attempt to thwart their search, whilst fighting amongst themselves for the position of Emperor. 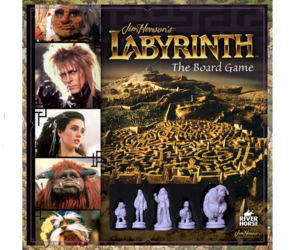 The game is light on the complexity, and perfectly mirrors events of the movie, culminating in an epic showdown within the Crystal Chamber. The presentation throughout is second to none. You can tell that the publisher has treated the source material with reverence, and presented it in a fashion that fans will wholly enjoy. 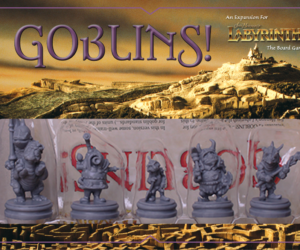 The miniatures are wonderfully sculpted and reproduced, effectively capturing the expressions of the characters. For miniature painters, they offer a unique project and will be a joy to paint. Join us on Facebook, Instagram and Twitter to share your own stories and experiences of the game. 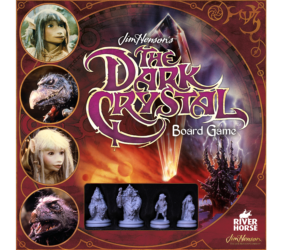 You can pop down to your friendly local game store and pick up your own copy of Jim Henson’s The Dark Crystal Board Game, or pick one up from our web store now. 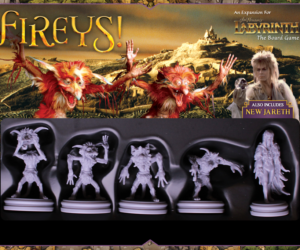 Monkeys With Fire (MWF) is a Twitch channel that broadcasts tabletop gaming, miniature painting, live interviews, and hobby related content, weeknights (19:00 – 21:30 GMT) to a live interactive audience. £29.99 Available May 17, 2019.